It happens in the showroom when you are part of making a connection with a family. At Trigard, we understand the challenges of the showroom. 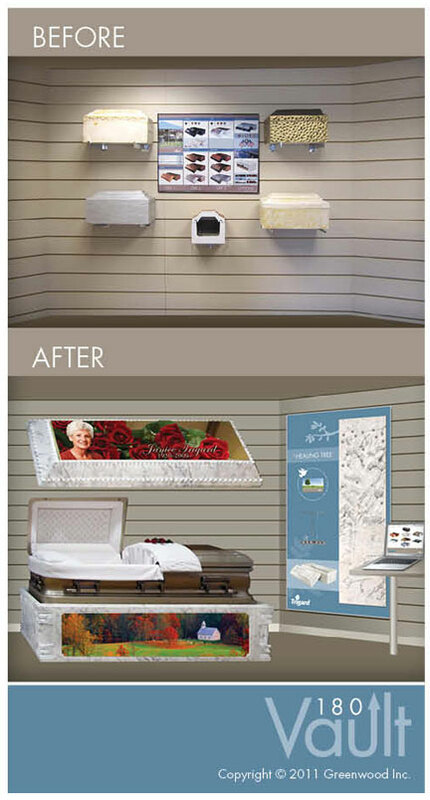 Informing families, respecting your funeral home's space and increasing your vault sales requires a team effort. Let our experts consult with you to design effective custom Vault 180 displays for any showroom scenario. Call Customer Service at 800.637.1992 to learn more about our Vault 180 displays and to start planning your new showroom today.